fRicKeL sOunD is back! The Georgian duo Greenbeam & Leon know how to amaze the Mo’s Ferry crew! 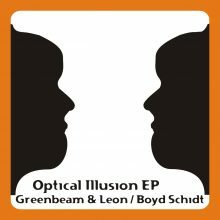 Weird, ‚frickel‘ tracks that just work far beside house, techhouse and techno – a healthy mixture of bread and butter with a lot of topping and spice, including two solo-tracks by Leon aka Boyd Schidt!